Christmas is just around the corner and these are some things I wouldn’t mind finding under my Christmas tree this year. You know, in case Santa was wondering..
TASSLE Birger1962. 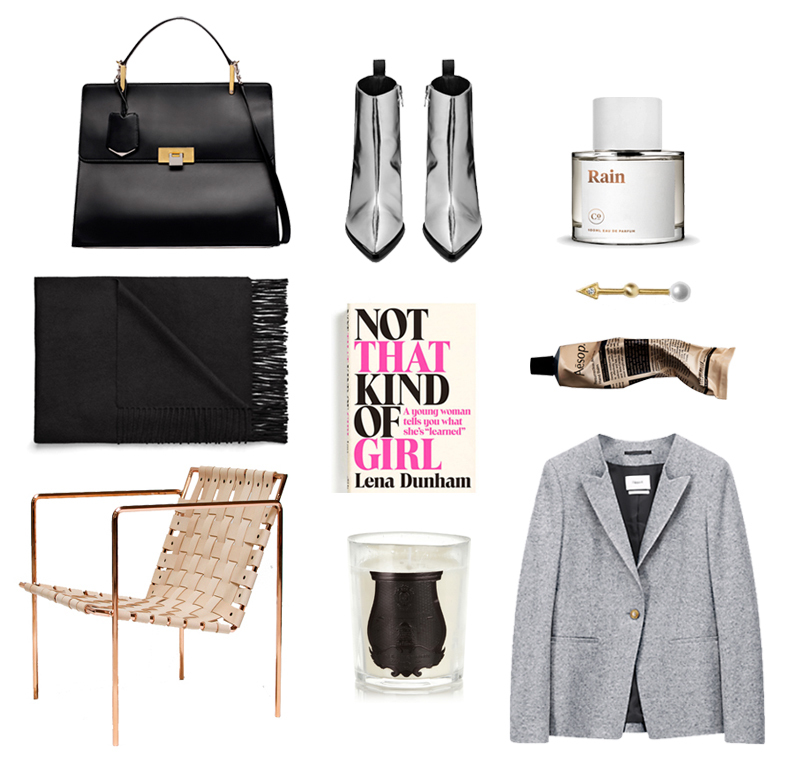 COAT Filippa K. PERFUME Byredo Bal D’afrique. SCARF Hérmes. 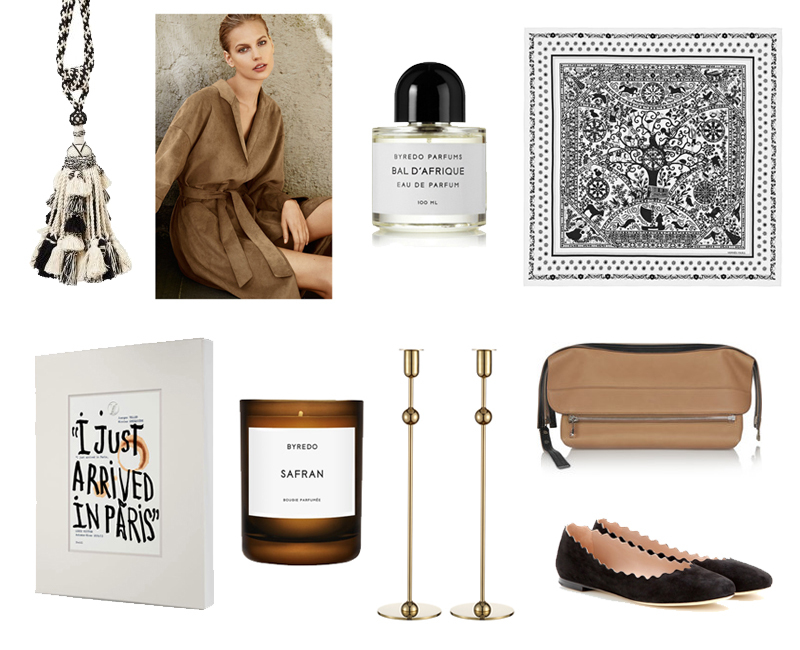 CANDLE Byredo ‘Safran‘. CANDLE HOLDERS Svenskt Tenn. BAG Chloé. FLATS Chloé. ‘Not That Kind Of Girl‘ by Lena Dunham. Pearl earring from Line & Jo (If you see this Santa, please work your magic! ).